Secretary of State offices are responsible for registering corporations, limited liability companies (LLCs), and partnerships; handling business mergers and acquisitions; and processing the articles of dissolution in the event you close down a business. Depending on which state you live in, information can be difficult to find. If you're starting a business that'll be classified as anything beyond a sole proprietorship, you'll need to ensure that you go through the proper channels with your state's regulations and tax filing requirements. 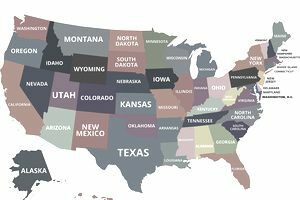 Get started by visiting your state's Secretary of State website to learn more about the specific filing requirements where you live. No two states have the exact same responsibilities for their secretaries of state. In Massachusets, the "secretary of state" office is instead called the "secretary of the commonwealth." In 37 states, the secretary of state position is elected, whereas in the others, the position is appointed by an official such as the state's governor.